одном диапазоне или одним видом излучения. Засчитываются радиосвязи с 1 января 1958 г.
Стоимость диплома US$ 10.00 или 10 IRCs. 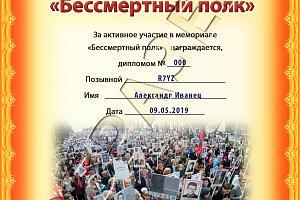 В дополнение к базовому диплому выдаются дипломы за каждые дополнительные 100 QSO с ZS станциями. Заявитель на высший диплом (ZS-200 и т.д.) должен выполнить минимальные условия по количеству связей с отдельными районами или указать в заявке номер предыдущего диплома. 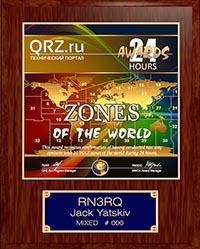 The Worked all ZS series of awards is available to all Radio Amateurs and Short Wave Listeners. In addition to the basic award (WAZS), awards for higher multiples of 100 callsigns are also available. An applicant for a higher award (WAZS-200, WAZS-300 etc.) must meet the minimum call area requirements at the time of application, or must cite the number of his/her previously issued WAZS award. 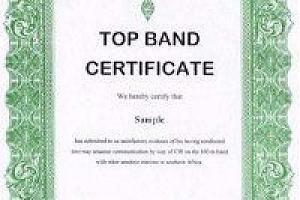 Specific mode and/or band endorsements can be requested. 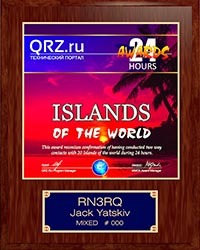 When an applicant applies with a total of more than 200 callsigns, the applicant will be issued with all awards below the actual level. An application with 380 callsigns, for example, will receive the basic WAZS, WAZS-200 and WAZS-300 if they have not already been issued before. Each award at every level will be sequentially numbered. An Honour Roll with the latest scores of all stations above 200 will be published on the SARL Web site, in descending order. Members of this list can apply each time they reach a new award level, or can submit an update once per calendar year, even if a new endorsement level has not been attained. 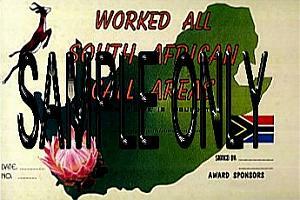 South African applicants should send QSL cards, a list of contact details and a handling and postage charge of R 10,00. 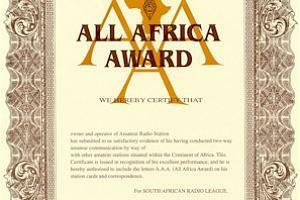 This award is free to members of the South African Radio League. 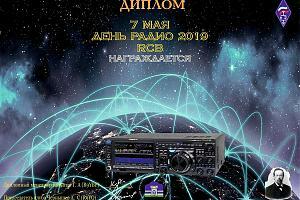 Foreign applicants should submit a list of QSL cards, certified by an official of a local radio club or two licenced radio amateurs that have seen the cards. A handling and postage charge of US$ 10,00 or 10 IRCs must also be included. Only callsigns from the South African mainland count. 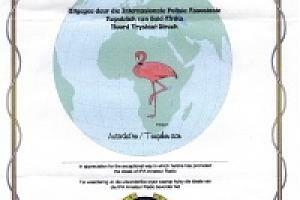 ZS3 callsigns from South West Africa (now Namibia V5), old ZS callsigns from neighbouring countries (Lesotho, Swaziland and Botswana) and offshore stations (Walvis Bay, Penguin Islands, Marion, Antarctic etc.) do not count. 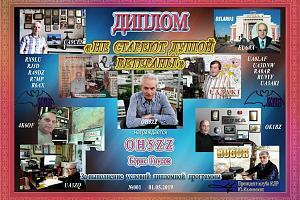 However, special callsigns (ZS99ARA, ZT6Z, ZS25TUK etc.) from the South African mainland do count. If such special callsigns are included, remember to ascertain the correct call area. Callsigns with double digits are often misleading. Note that different callsigns are required. Successive holders of the same callsign do not count separately, but stations with several callsigns can be claimed under all those callsigns. ZS6XY, ZS6XY/6 and ZS6XY/P are the same callsign, but ZS6XY/4 denotes a different geographical callsign area and is considered a different callsign. 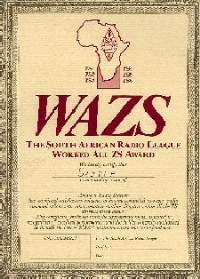 During May 2001, the Pretoria Contest Club ZS6Z donated a handsome plaque for the first station to claim WAZS-500. 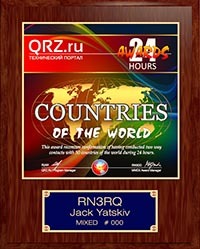 To level the playing field, and to allow entrants from anywhere on earth to submit their entries in time, the plaque will not be awarded before 2001-12-31. 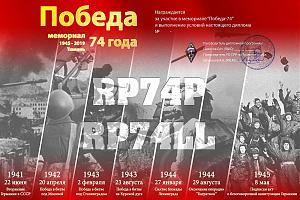 On that date, the plaque will be awarded to the station with the highest score above 500. If no entries have been received by then, the trophy will go to the first applicant to achieve WAZS-500.